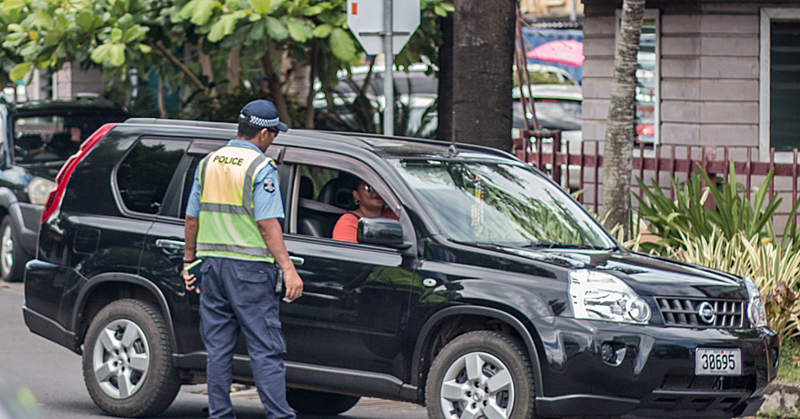 This is the second time the Ministry of Police has promoted the Cyber Safety Programme and the 5th year since the programme was endorsed by 20 Police Commissioners throughout the Pacific. This year’s programme is to educate and inform the communities especially the young children, of the good and bad sides of the internet. The programme started with a morning parade which was open to the public and a short service delivered by Rev Tanoalei’a Tunupopo. 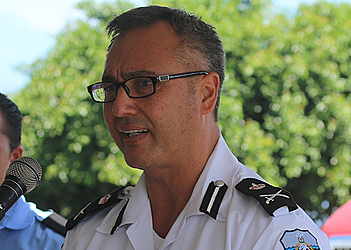 Police Commissioner Fuiavailili Egon Keil delivered the Keynote Address. “The increase of internet related crimes have become a major concern not only to the law enforcers, our region, but also to the community and to government leaders,” said Fuiavailili. He said the worldwide web has changed the landscape for criminals around the world. Fuiavailili said another disturbing trend is cyber bullying, because it’s not just happening in other countries, but it’s happening in Samoa. Social media such as twitter, facebook, instagram or other sources of entertainment can be used to conduct cyber bullying and unauthorized postings of compromised pictures and harassment. “Cyber bullying is illegal in Samoa and it carries a maximum penalty of five years imprisonment,” the Commissioner reminded the crowd. He said the police have identified these unlawful use of tactics from the recent interschool violence which landed over 50 students in jail and about 80 students being detained by police for questioning. He further reminded the community that for any posts and text messages, the log in and log off times can be recovered even if the messages have been deleted. And he reminded young people to be mindful that when they get on the internet not to disclose any personal information or pictures or home addresses to strangers online. 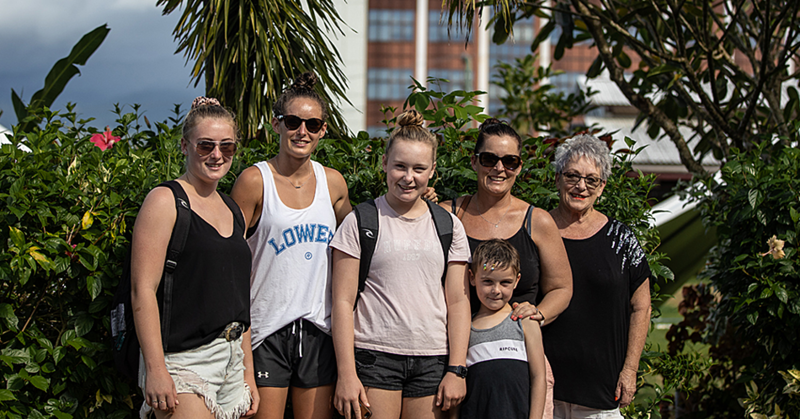 “Internet is a great tool for all of us; it’s a part of our society we can read events, catch up with families and friends and the key is to be responsible and safe,” said Fuiavailili. 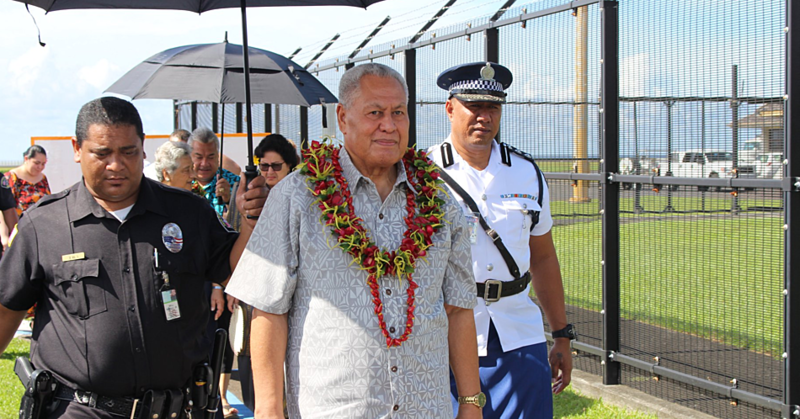 Fuiavailili also acknowledged the presence of Avele students as it was one of the main schools involved in the interschool fights the past few weeks. He also noted the attendance of Saint Mary’s College. Angie Hazelman of Saint Mary’s College said that there should be more awareness about cyber crimes because she believed if there was more awareness, the students would know the consequences of their actions. She said cyber week is all about social media and internets and to stop students from harassing other students on social media is something that parents, police and students should work together by getting the message out. The programme will be held in Upolu for two days and continue on to the big island of Savaii on Wednesday, Thursday and Friday.